Every day, more and more devices are being connected to the Internet. According to Statista, the global internet of things market is projected to be valued at more than 1.7 trillion US dollars by 2019, with the global connected devices forecast to reach 20.35 billion the same year. Moreover, Navigant Research projects the global smart waste collection technology to grow over 223 million US dollars in 2025. Internet of Things has successfully dribbled into all aspects of business and is shaping all industry sectors. From education, retail, healthcare, automobile to entertainment. With IoT entering the waste management industry, future of recycling looks promising. With RFID and sensor technology, recycling and waste management systems can be further optimized to increase productivity and save costs while moving to a more sustainable future. IoT enabled applications are effectively improving the waste management operations. Pre-defined routes, outdated methods of waste collection are increasingly being replaced with sensor-enabled bins and sophisticated waste management applications. One of the salient features of any IoT enable application is its ability of send and receive data in real-time. This data is used for a multitude of applications. With connected devices and cloud-based applications in order, the waste management chain is becoming ubiquitous with multiple points of interaction. Through sensor enabled intelligent technology, dustbins, and garbage cans can be connected to the Internet as a “Digital Bin or Can”. As an “Internet of Product”, these can be monitored, supervised and managed by identifying fill levels with every waste dumping. 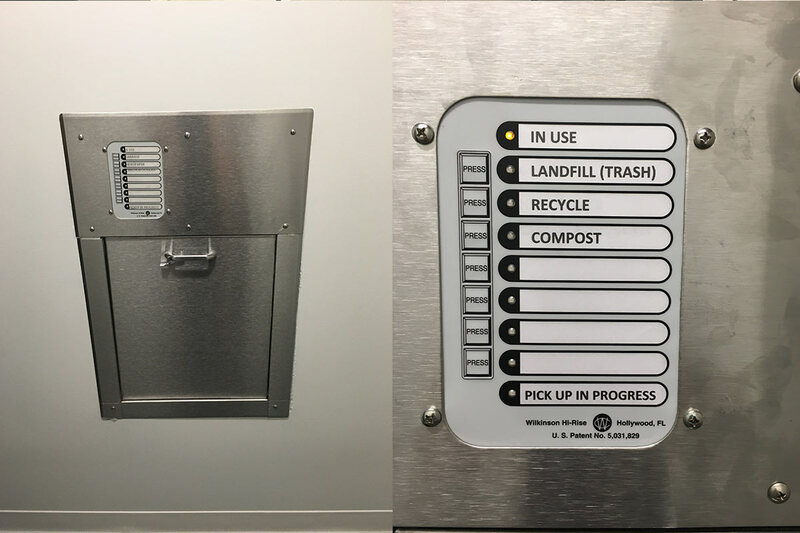 For instance, once someone empties waste into the smart bin or IoT enabled garbage can, they can scan the code on that bin which can immediately send data to the waste collector. This data leverages collectors to identify the level and quantity of waste to be recycled. It can also be used to further optimize logistic operations like what size of the vehicle should be used, which routes to follow, which garbage be collected later and so on. The possibilities are both endless and promising. Numerous challenges plague the waste management supply-chain today. One such challenge involves sticking to pre-defined routes irrespective of whether the bins are full to the brim or not. UK based ISB Global is using IoT powered applications to manage waste. Using advanced bin-level sensors, cloud-based data collection and a smart app, ISB has created a network of connected devices for effective waste management. By applying technologies like sensors, geo-location tracking, Bluetooth beacons and automatic location sensing, ISB aims to maximize productivity and deliver great service at lower costs. These systems also capture data such as weight, volume, costs, truck number, and feed all the information back which can further automate billing and invoicing operations. These solutions are ideal for waste management companies or bigger venues like malls, restaurants, schools or hospitals, where bins move around and need to move back to their designated location. But are we overlooking something larger? Though waste management technologies are nascent, there has been an upsurge in IoT based waste management solutions and companies. Big players are deploying sensor robust management systems to match a timely, need-based approach towards waste management. Talking about effective waste management, consider a scenario. You keep using batteries to power devices in everyday life. Batteries are making their way into our transport and vehicles too. What happens when a battery is done? You toss it in the bin. Right? Is that efficient or ideal? Imagine if you could digitally represent all these batteries on a serial level using an Internet of Things Platform without the involvement of sensors. Simply a digital record of each battery accessible on the internet. Once your battery is waste, you could use your phone to scan and activate the IOT record for that battery, updating the record to say the battery is done and you need a new one tagging it with the current geolocation. The manufacturer can now deliver a new battery if requested and schedule a pick-up of the used one along with all the other batteries that day who have lit up on their monitor asking to be picked up for recycling. These can now be properly recycled by the manufacturer to make and deliver new batteries turning the whole process into a much more sustainable, resource efficient process with the help of IOT. By brands taking the responsibility to create the IoT infrastructure and involving the consumers on a large scale, effective recycling procedures can be implemented which benefits everyone. From companies to customers, an all stakeholders approach can provide sustainable solutions across the globe. These applications can be used for a number of higher value product categories like electronics, appliances, consumer durables, furniture, hardware and more where products can simply be flagged for recycling by the consumer and the manufacturer can recycle the materials to create new units rather than procure or mine more precious metals, manufacture more plastic or raw material. When manufacturers think beyond the use of sensors and consider the potential of an Internet of Things platform on which they can build smarter applications, efficiency increases, productivity increases and smarter more sustainable models are born.